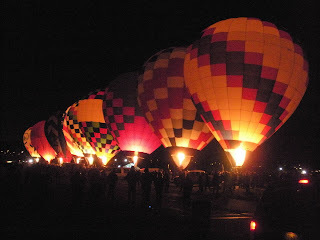 Every year Albuquerque hosts the International Hot Air Balloon Fiesta. It is the largest gathering of hot air balloons anywhere in the world. Worthy of a little mid-semester road trip? The fiesta runs for about a week and each day begins with a single balloon rising before the sun to check on conditions up above. After it goes up a small collection of balloons (the Dawn Patrol) takes to the air as well. Getting up hours before sunrise is not exactly my cup of tea these days. This was so worth it! Once the Dawn Patrol is off, right as the sun comes up, all of the other balloonists and their crews get to work getting their balloons ready for take-off. We were on the crew of the "Dawn Song." One of our rafting buddies, Ohio (living legend) is one of the co-pilots. That means we got an up-close and personal fiesta experience. The balloons are filled with air via a high powered fan and then the air is heated with a propane flame to make it rise. Balloons were quietly filling and rising all around us. So cool! The road trippers! Keith, me (and bambino), Liz, and Megan. 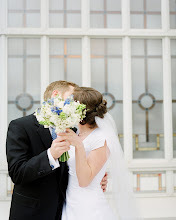 Liz and Megan met on their missions in South Korea a few years back. She's a keeper for sure. Surrounded by balloons! Do you spot the duck? On the busiest day of the fiesta there are over 700 balloons in the air! Wow! The days we were there had about 500 each morning. It was incredible! Once the Dawn Song was ready for lift off Keith and Megan got the word that they would be going along for the ride that morning. Surprise! 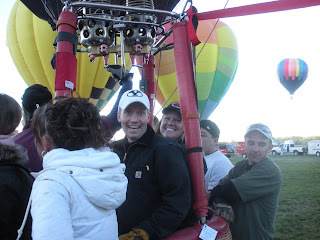 They were pretty thrilled (neither of them had been in a hot air balloon before). Balloons taking off in masses. They are in the closest basket. The job of those on the ground was to quickly jump in the back of the chaser trucks and, you guessed it, chase the balloon. It was tricky to keep track of our balloon with so many colorful ones all around. This cow was a "special shapes" balloon that landed near us. ...got drenched. Good times. Notice that Megan is still valiantly trying to finish her cup. Good people, hundreds of balloons, beautiful sights, wonderful weekend. What a fun adventure! 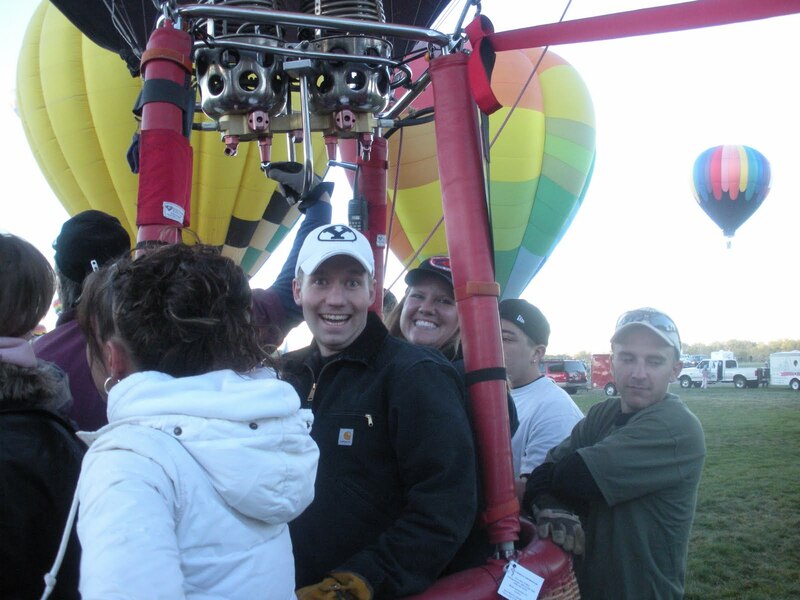 And congrats to Keith for being initiated into the ballooning community! How beautiful! What a fun weekend! I think I missed out on getting to know Ohio as much as I missed out on the Grand Canyon!